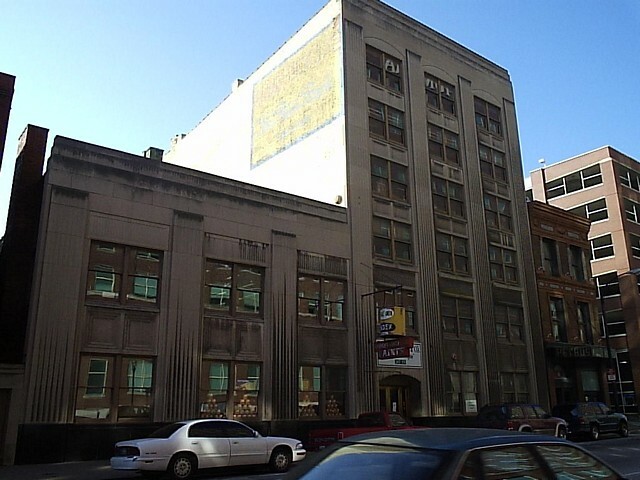 Last Updated: May 11, 2010 Added link to related web article. 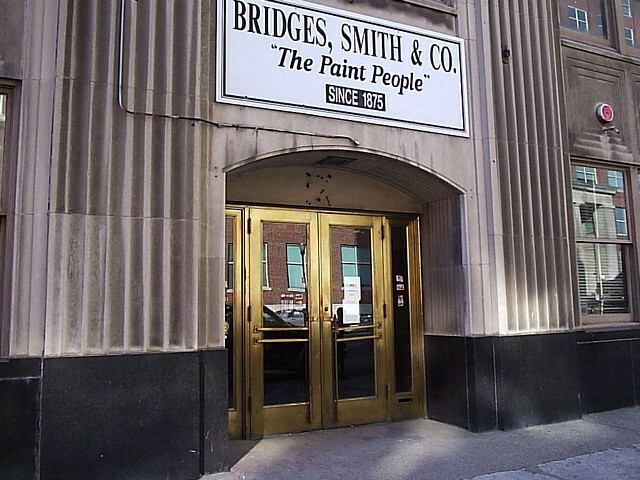 Current Building Name: Bridges, Smith & Co. 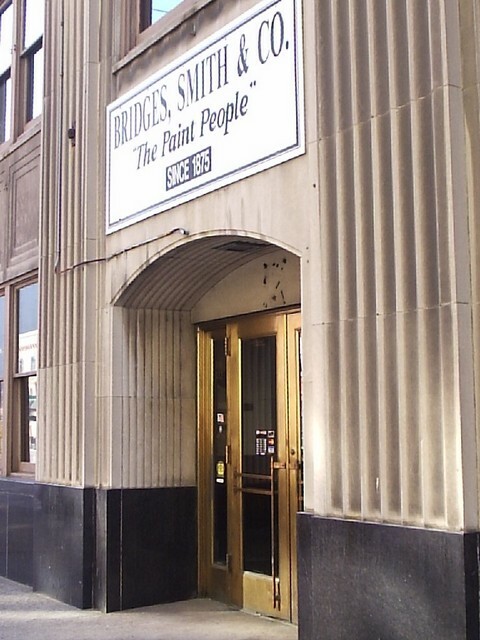 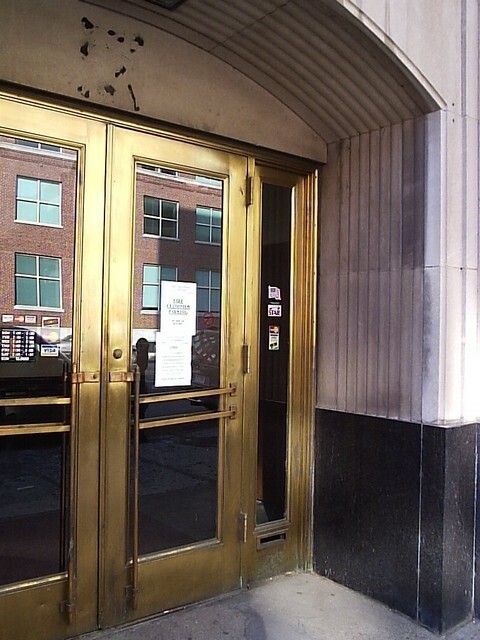 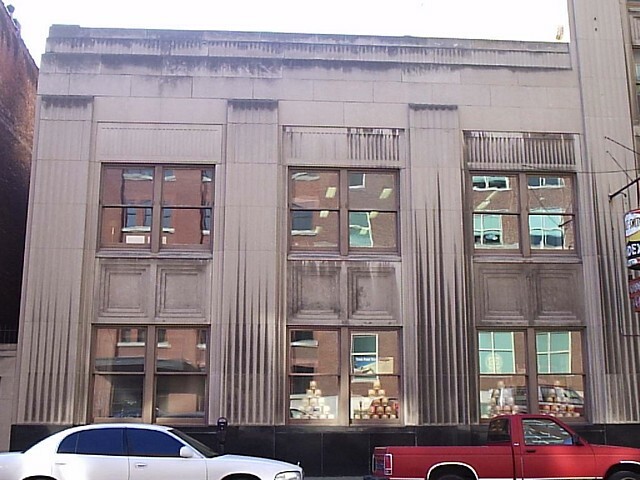 The Bridges, Smith & Co. Building is located at 118-122 E. Main Street. 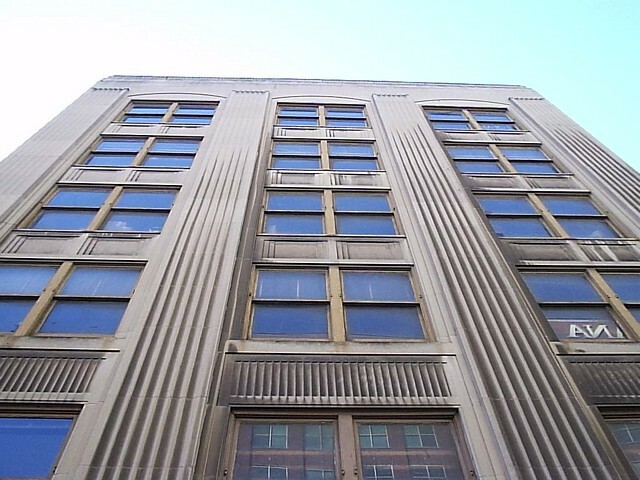 The main portion of the building is six stories with a wing of two stories on the east half. 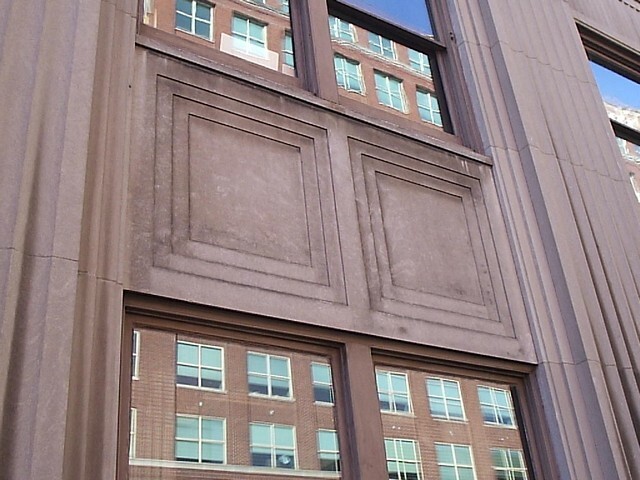 There isn't much in the way of ornamentation. 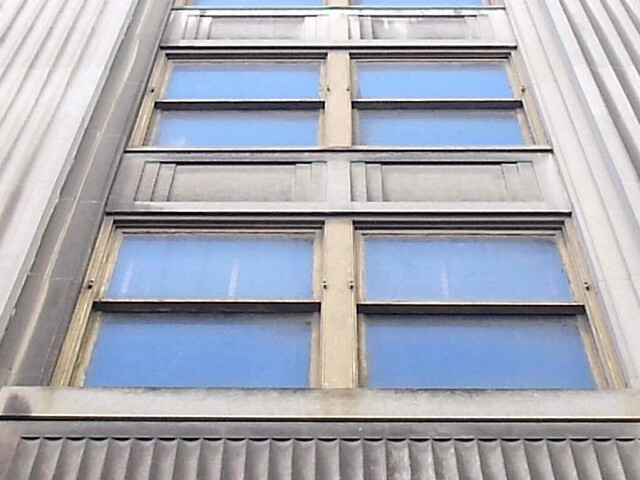 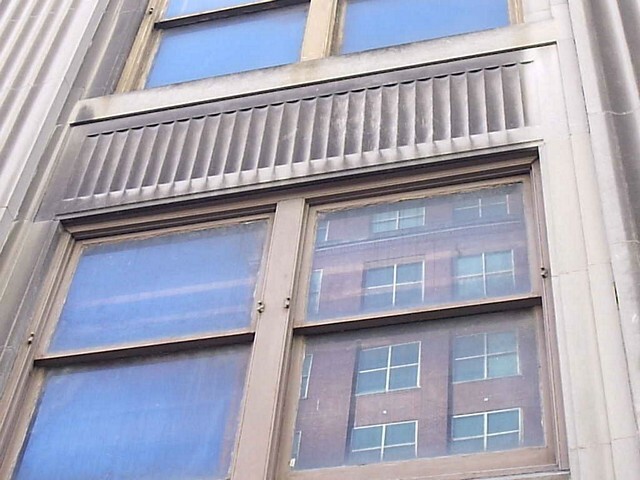 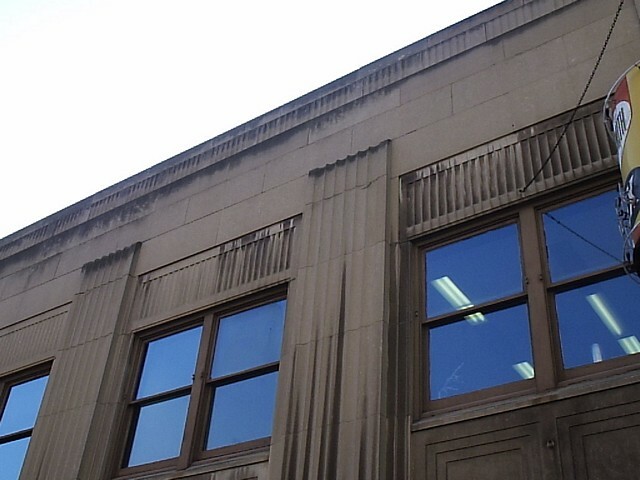 Just basic geometric designs - tall vertical fluted/flat columns nearly flush to its face, inset squares carved between windows, and short vertical flutes between windows and along the roofline. 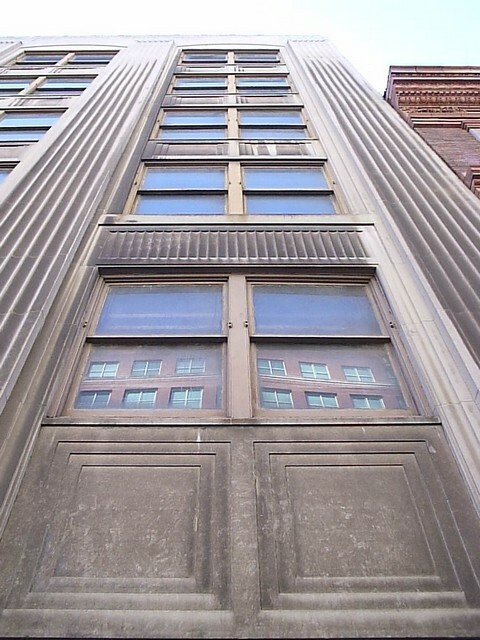 The door opening also has a slightly tapered/convergent and fluted surrounding. 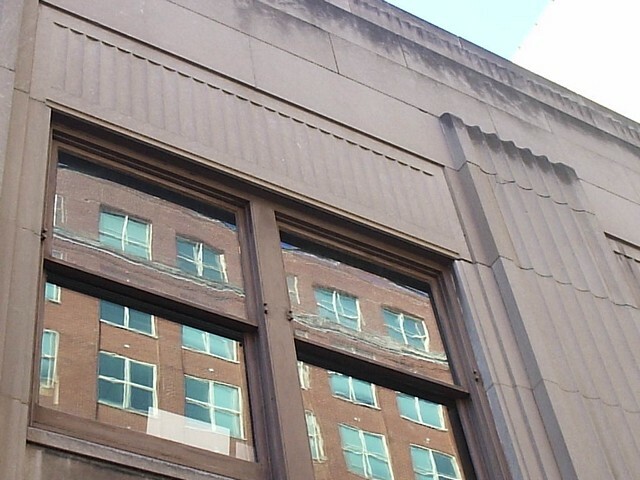 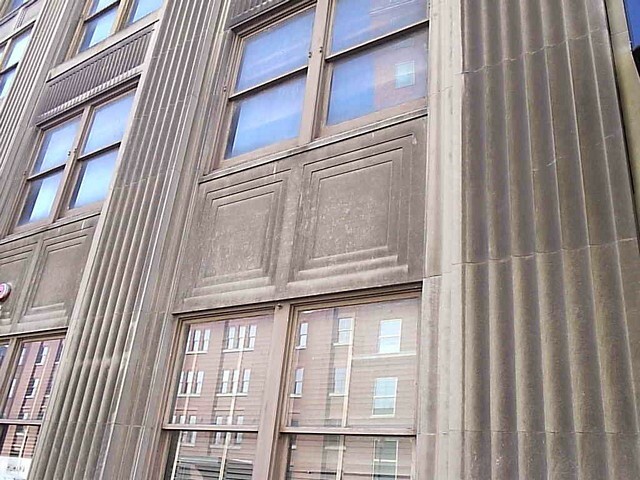 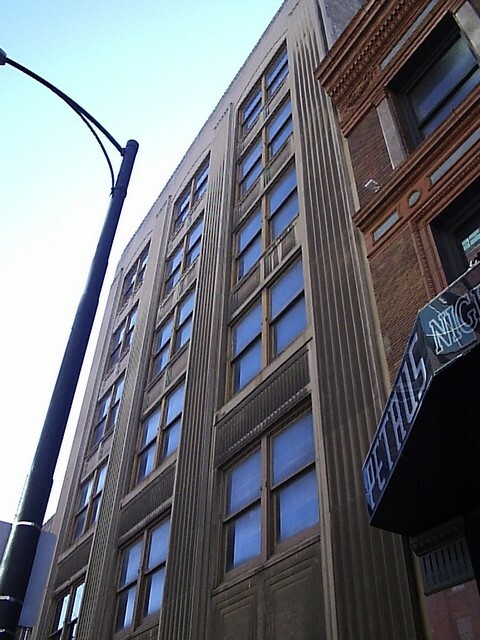 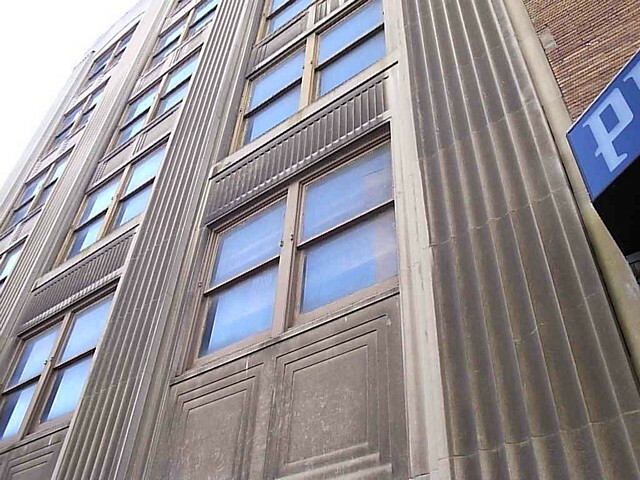 Per the Broken Sidewalk article linked below: "The art-deco facade was not original to the building, but is believed to have been applied in the 1940s. 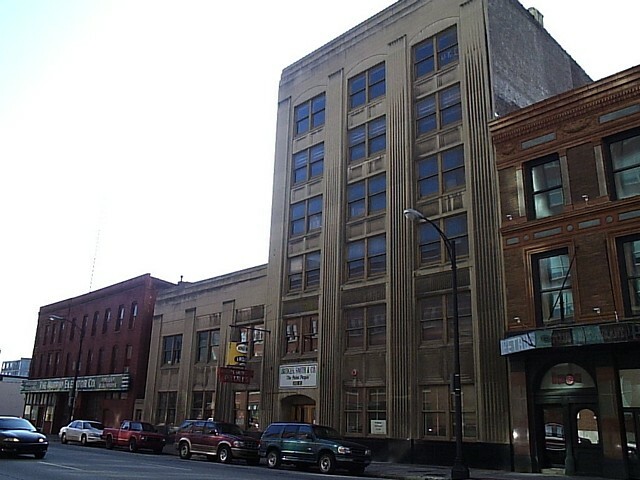 The taller building dates to the 1870s when it was a warehouse for Four Roses bourbon and features 18 ft ceilings and wood & masonry construction typical of 19th century industrial design. 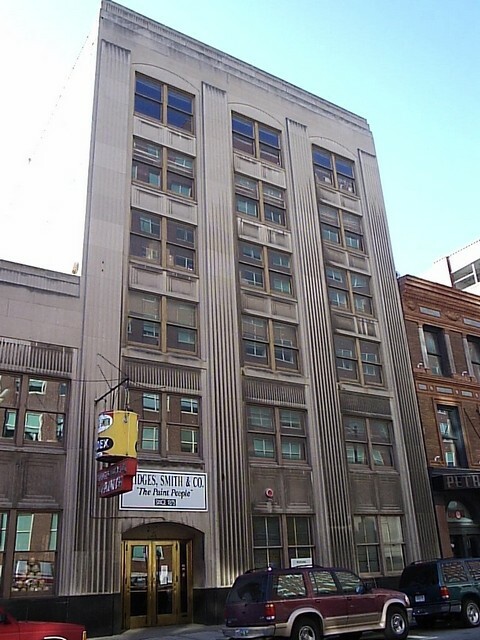 The two-story portion was added in the 1940s and is built of concrete."